How Does Artificial Intelligence Really Work in Agriculture? How far are we from a computer being able to decide what variety or hybrid should be planted in a field, how it is fertilized, and prescribe crop protection chemicals needed? The promise of artificial intelligence (AI) has been a popular discussion in the media, not only for agriculture but for a variety of applications. But what is AI, how does it work in farming plus what does it mean and how does it impact agriculture? One of the most common ways this new technology is discussed for use in agriculture is helping to make seed selection recommendations for individual fields. How does this work? How can a computer be programmed to know what seed to plant? There are a couple key aspects needed to make this new selection process work. One of the main items is the use of machine learning which represents a unique subset of algorithms within artificial intelligence. Machine learning is simply the ability for a computer to learn how to do things better or evolve without really being directly programmed by a person. The computer programming, or algorithms, start with a basic ability to perform a certain task. One common example that people have participated in training an algorithm — and maybe didn’t know it is one — is the CAPTCHA system, which is often used to “prove you are a human” when logging into a website. The main purpose of the CAPTCHA system is to provide a higher level of security for websites, but at times it also learns from people. The system has been used in the past to train algorithms to better identify text. As people are looking at jumbled images and typing in the letters they see in an image, the machine learning algorithm verifies someone is a person when the letters are obvious while it learns and updates the algorithm for letters not initially known in an image. Once a sufficient number of people look at a letter and the majority agree on what letter it is, this information is fed back, or used to “train” the algorithm what letter is being displayed. As this process is repeated thousands, or millions of times, the computer system improves its ability to recognize letters. This well-trained computer algorithm can now be used to digitize old texts that are difficult to see, and time consuming for an actual person to try and transcribe. This training process for algorithms is used extensively today. Companies everywhere are developing machine learning algorithms and then presenting the computer with different information and letting it know the correct answer so the system learns, and is eventually able to complete the task on its own, accurately and quickly. So now that we know how machines learn and artificial intelligence can be developed, how does that lead to a computer making a seeding recommendation? The next step in the process is to look for a doppelganger. This is where the big data term comes in to work with AI to solve problems. Companies working to provide some sort of AI-driven tool are always talking about how much data they have in their systems, and with good reason. It takes a lot of data to train the algorithms, but what are they being trained for in this instance? The idea is that in a certain soil type, with a certain weather pattern, and as many other variables as can be accounted for, seed variety X will have yield Y. If you have a big enough database of information, you can train the computer system to determine what the “best” variety is for a field. The system is essentially trained to look through all the data and find field conditions that are a doppelganger or look just like the field being asked about. Digging through (commonly called data mining) all this data allows the AI to make the determination variety XYZ is the best for this field since there is data from a bunch of other parts of different fields that have the same or similar conditions where that variety yielded better than other varieties grown in those conditions. This is great. The computers can crunch through all this data and help farmers make more informed decisions. But why haven’t these products taken over the market yet? One hurdle, as mentioned above, is having enough data available. If you are trying to match up all the different variables for a field you need a lot of different combinations of soil types, weather, seed, fertility, planning dates, etc. You also need this data to be standardized and read into a system, and most important, for it to be accurate. As an industry this is something we struggle with. Think of a yield file from a combine. Often you’re lucky if the correct crop type was captured in the data and the yield sensor was calibrated this season. Most people in precision ag have seen fields of 250-bushel yields in “soybean” fields where the operator didn’t bother to label it as corn. For the AI system to be able to recommend a variety we not only need the correct crop type documented but we also need to know what variety was actually planted, when, and at what population to really be able to train the algorithms and mine the data. Another obstacle is there are just a lot of variables to account for in farming. Most obvious is weather — it isn’t too hard to have a record of what happened in a field from a weather standpoint. However, knowing what the coming season is going to look like is a little trickier. So not only do you need to have all the different data about when, how, where, and which seed was planted, you need to know if it is going to be a hot dry year, or cool and wet. Forecasts are continually improving, largely from the application of the same type of AI systems to model weather to know what is coming. However forecast accuracy is really only something you can really trust out a few days, or maybe a week or two. Knowing what the next 6 months are going to be like is still fairly hard to predict for the most part, but again things are always getting better as the machines learn more. Even though there are some hurdles the technology by its very nature is continually improving. Additionally, we as an industry are getting better at capturing accurate data these algorithms can use to continue to improve. One other important aspect of AI to keep in mind is the data itself. Hopefully based on this article people understand why so many companies are interested in farmers sharing data with them. Anyone developing these machine learning algorithms needs tremendous amounts of data to train their systems, otherwise their product could be less accurate than a competitor with more data. This also shows why some people have been describing data as a new form of currency. Farmers should keep this in mind as they are looking at new software tools asking for them to share their data. The data is very valuable and important to train these algorithms, but also very difficult to quantify the monetary value of any particular set of data fed into the system. Individually the data records have little value, their true significance comes though when combined with many other records. It is important all parties know what is going on, who needs what data, what they are doing with it, and what benefits each party receives from sharing it. This is an exciting time to be involved with agriculture and AI will undoubtedly have a substantial impact on how farming is done for years to come. The Agricultural Data Coalition's (ADC) mission is to help farmers better control and manage their electronic data and promote innovation and progress in the agricultural marketplace. 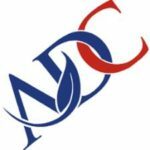 The goal of ADC is a create a neutral, independent, farmer-centric data repository where farmers can securely store and control the information collected every day in the fields by their tractors, harvesters, aerial imaging and other devices. Over time, that data can then be scrubbed, synced, and transmitted in an efficient and uniform way to third parties — whether they be researchers, crop insurance agents, government officials, farm managers, input providers, or anyone else the farmer chooses. The ADC will provide a privacy-ensured way for farmers to access markets; increase yields and profitability; and ensure unrestricted access to their data, services and products. See all author stories here.